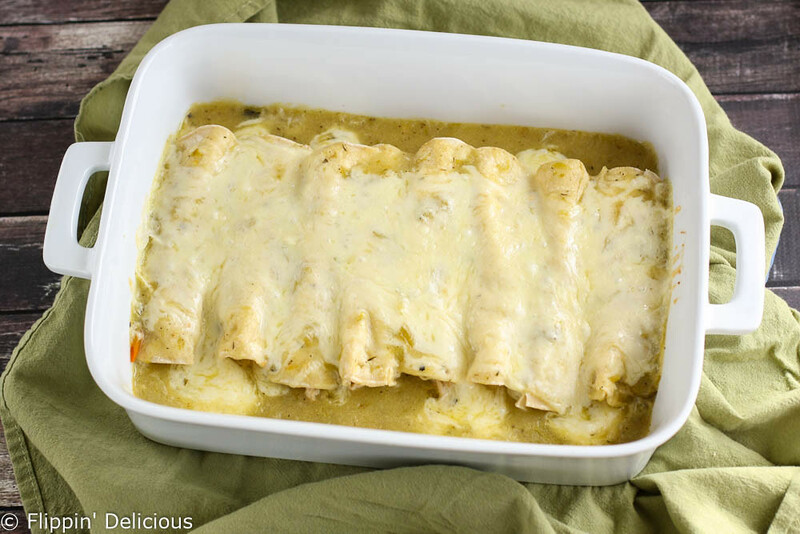 Classic Green Chile Enchiladas, made gluten-free with a quick and easy homemade gluten-free green chile enchilada sauce. They make a simple and easy dinner that the whole family will love. 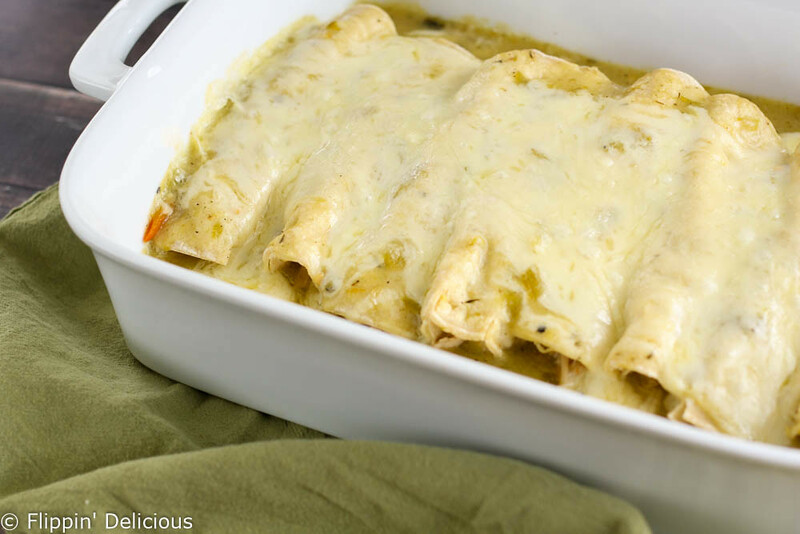 Enchiladas have always been a go-to dinner for me, and they are easy to make gluten-free. Just throw some leftover shredded meat (chicken, pork, beef, turkey, whatever you want) inside of a corn tortilla, cover it in sauce and sprinkle a little bit of cheese on top. Throw it in the oven until the sauce gets nice and bubbly and the cheese gets ooey and gooey. I’ve even made 10-minute microwave enchiladas when I need dinner in a rush, or it is hot and I just can’t stand the idea of turning on the oven. Basically whenever I have leftover shredded meat and am trying to come up with something to make for dinner, gluten-free enchiladas are the answer. After Thanksgiving, when we have leftover turkey a plenty I like to make my enchiladas with a creamy sauce and I put leftover cranberry sauce inside with the turkey. Now these gluten-free enchiladas aren’t anything fancy. Just simple and basic, but classic. Homemade gluten-free green chile enchilada sauce, shredded meat, gluten-free corn tortillas, and a sprinkle of Monterey Jack cheese on top. Don’t worry, the green chile enchilada sauce is really easy to make and it only takes 5 minutes. I always spread a little bit of the enchilada sauce on the bottom of the pan to keep things from sticking to it. That is a trick that my mom taught me. Now we have to talk a little about green chile. I live in the beautiful Land of Enchantment (aka New Mexico. Which is a state in the US of A, not Mexico the country.) Green chile is a staple here. Red chile is too. If you ever eat at a New Mexican restaurant (yes, it is different than just a Mexican restaurant) you’ll be asked “Red or Green?” It is our state question. I like to order my food Christmas style (which means both!) But today we are focusing on green chile, I’ll come back to red chile another day and give it the attention that it desserves. Anyways… green chile is really important to me and what kind of green chile you use will make your enchiladas exceptional or average. Use roasted green chile if at all possible. Every fall here in New Mexico they sell green chile in 25lb boxes that they roast fresh for you at the grocery store. But then you have to go home and peel, chop, and then freeze or bottle it all yourself. It is a TON of work, so I normally buy it that way. My favorite green chile is roasted, chopped, and bottled by a local company. If you can’t find that, the next best thing is going to be frozen roasted green chile. If you can’t find that, then and only then should you resort to using those little tiny cans of green chile that you find next to the canned tomatoes. They are ok in a pinch, but they just aren’t the good stuff. Enough of my rant about green chile. Just buy the good stuff, you’ll thank me. And the result is a slightly spicy, savory green chile enchilada sauce that coats the tortillas and bubbles into the melted cheese making enchiladas that I can only adequately describe as being unctuous. 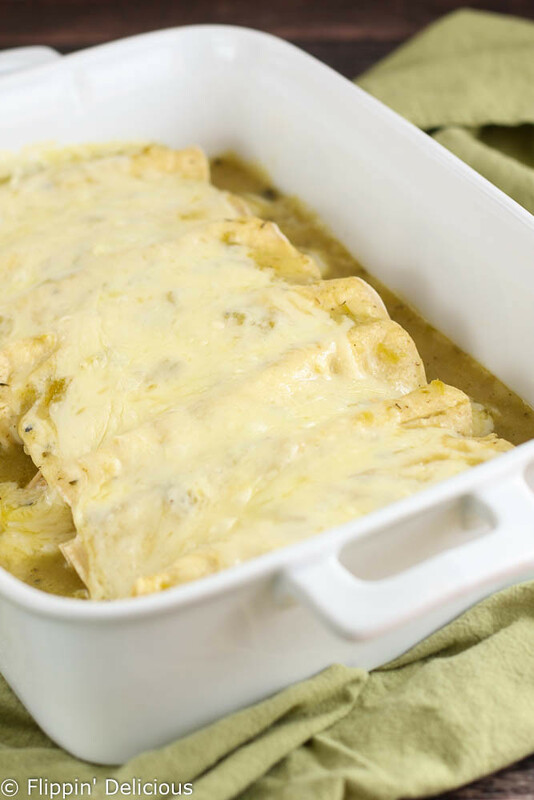 The flavors and ingredients are simple, which really makes this gluten-free enchilada recipe a classic and lets the flavors and texture shine. Everyone will think that you slaved over them for hours… you don’t have to tell them that you didn’t! Oh wow do I love enchiladas. These look so delicious!! What do you use for GF Corn Tortillas …the only ones I have used are little ones and tend to have a lot of sauce leftover or make a lot of little enchiladas. Those are the ones! REAL enchiladas are made with the smaller, taco sized, corn tortillas. 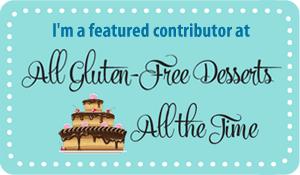 It just so happens that they are often gluten-free too. You will just have more enchiladas than if you were to use huge burrito sized tortillas. 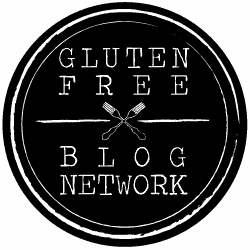 Do you know if I could use almond flour? Or possibly xanthan gum in place of the rice flour? We are VERY low carb in our household. I’m planning on using the meat in a stuffed pepper version. I know how to use xanthan gum in place of hideous regular bleached white gluten filied flour, just not rice flour. I’m unfamiliar with it’s uses. I don’t think that almond flour would work to thicken the green chile sauce, but I think you could try using xanthan gum. I haven’t used it to thicken sauces very often, so I am sure that you are more familiar with it than I am. Please let me know what you try and how it works! I used the rice flour in the sauce the same way I would have used regular flour in “ye olden days” when that was an option. That was why I cooked it with the butter and spices to cook out some of the starch, basically making a roux. I am assuming you would add the xanthan gum very last, not with the butter and spices. The one time I recall using xanthan gum as a thickener it was added at the very end. Oh so happy you’re from New Mexico. Finally someone who understands the joy of green chilies. Thanks Richelle! Green chile is LOVE! Can I use cornstarch instead of rice flour and if so how would I modify the recipe? I haven’t tested this recipe with cornstarch. I suspect that you can substitute the same amount of cornstarch, or half as much, depending on how effective your cornstarch is at thickening. I’m from El Paso,TX, but I live in. Pennsylvania now. I have bought Las Palmas enchilada sauce at the local Wal-Mart Superstore. This sauce tastes more authentic than most of the other brands. I’m also celiac and this works for me. The tortillas that I buy are Mission brand and they. Are gluten free. Because my husband and I grew up in El Paso we miss Mexican food terrifically. We were used to eating at some of the best restaurants in the area where they serve great New Mexican food in both El Paso and New Mexico. I can only imagine how much you mus miss Mexican food! Many New Mexicans have their friends and families ship them green chile because they just can’t live without it. I’m happy you found some enchilada sauces and corn tortillas that work for you. Mission White Corn are my go-to!